When designing any room in our homes these days we want style, sophistication and even elegance. The bathroom is an important space in any home and with the right design can increase the value of your property. This year is the year for luxurious bathrooms, those spa-inspired places where you can relax and unwind after a hard day at work. With whirlpool baths, shower jets and stylish design choices putting a luxurious design together is much easier than it has been in the past. Then comes your bathroom mirror, you want to make the right choice to ensure it blends in with the rest of your bathroom design while complimenting the space and even becoming a centre piece on what would have been a very bland wall. So how do the designers do it? The first thing is a designer will do is determine where the natural light is coming from, any mirror can be used to bounce the natural light into the room giving it a more spacious feel. Stand in your bathroom and see how the natural light enters the room, where is the light focussed, which wall? 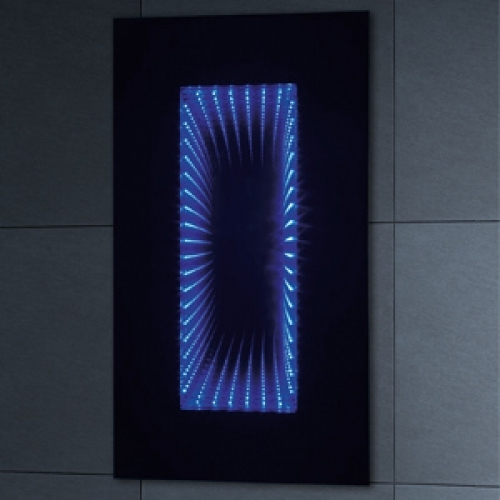 This is the wall you will want to place your bathroom mirrors with lights. Now you may wonder why bathroom mirrors with lights are such a popular choice with designers, it comes back down to lighting. They offer additional light on those darker days, they offer convenience and practicality while adding that special something to the bathroom. Next step is to take in the design of the bathroom. A modern bathroom with a minimalist feel and plenty of straight edges will benefit from a mirror that compliments the space, such as rectangular mirrors. 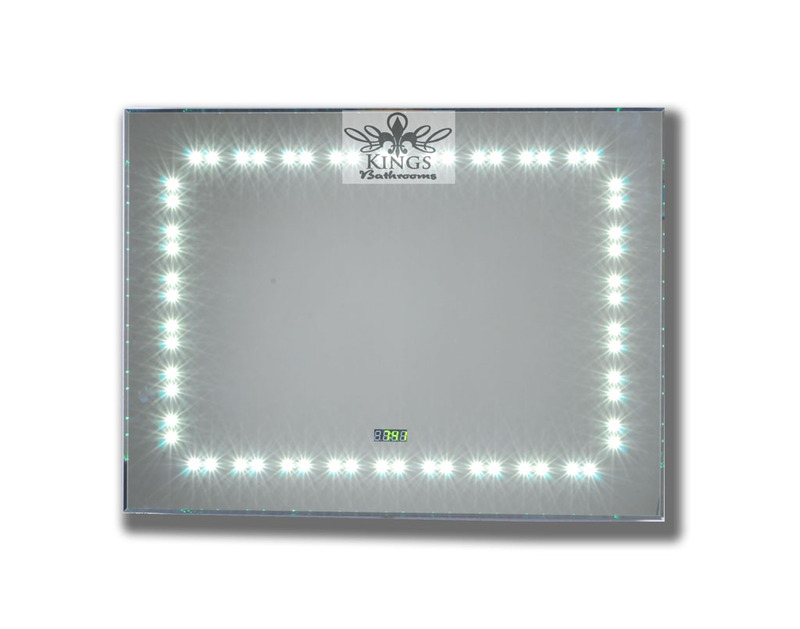 The standard pure mirror and the extra vision pure mirror are both bathroom mirrors with lights that would work beautifully in a modern bathroom space. Luckily bathroom mirrors with lights come in a range of shapes and sizes so you can easily find one that blends in with the rest of your design, whether you have curved edges or straight edges. 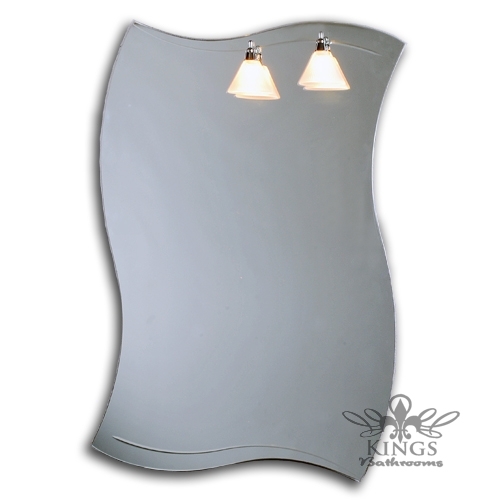 For curved edges you will want to incorporate round or oval mirrors or something along the lines of the Minima bowed mirror which has a straight top and bottom design with curved sides. Any bathroom mirrors with lights which are mounted in any bathroom should offer a focal point for the space, that special “wow” factor that helps bring the design together, enhancing the space while it’s also functional and practical. 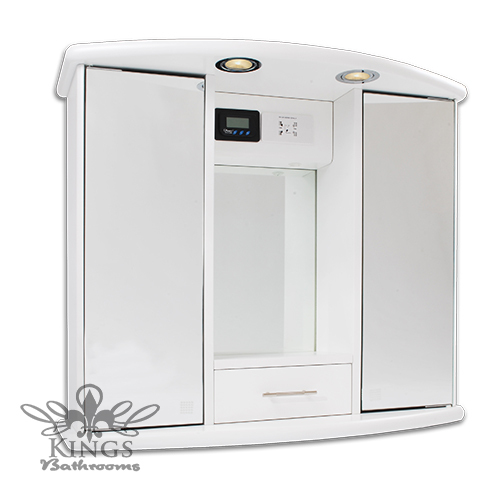 If you stay updated with the latest trends then you probably know that this year is all about bathroom luxury, having a day spa in your own home and taking advantage of the great bathroom products available to turn your bathroom into your own private oasis. I think it’s so important to be completely happy with your bathroom, it’s one of the biggest escapes for many mothers after a day of juggling their children and work. In fact it is a known fact that many mothers retreat to the bathroom for a little bit of peace and quiet. If you are one of these mothers, why not make your bathroom space one you want to spend time in. Luxury design is all about the things that make you feel comfortable from the light natural colours of your tiles and walls to the items you place in your bathroom. For me luxury is a large and deep bath, a place to soak and relax. Ideally the bath will have jets to massage my aching muscles and joints. My basin needs to be placed on a counter, oozing modern and luxury in one and then it should all be finished with a stylish radiator and infinity mirror. You may wonder why I would want to put an infinity mirror in my luxurious bathroom instead of just a plain mirror or mirrored bathroom cabinet. Have you seen the infinity bathroom mirrors? They have lights that disappear to no where, they give the bathroom a wonderful glow and they look stylish and elegant in a modern or luxurious bathroom design. A bathroom is all about light, you want natural light combined with glass, light colours and space to make a bathroom feel light and airy. When you’re lying back in your bath soaking all your stress away the blue glow from an infinity bathroom mirror may be just what you need rather than the bright light of your main fitting. These infinity bathroom mirrors scream ultra-modern and luxurious design, they are in their own league and look fantastic in just about any bathroom design, though I feel they really work well in a modern and luxuriously designed bathroom. 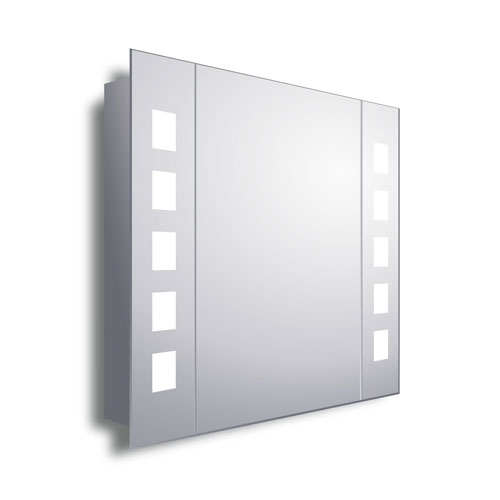 Use the mirror as a normal mirror during the day and turn on the infinite lights when it’s time to relax. There are two things you need in any bathroom, the one is a light spacious feel and the other is a storage area to reduce the clutter than can accumulate when you aren’t looking. My solution to the problems we face in our bathrooms is bathroom mirrors with shelves which solve both of these problems in one handy item that looks elegant and stylish on any bathroom wall, making it a focal point of beauty. Bathroom mirrors with shelves come in a variety of sizes and shapes, you can easily find one that will blend in with your bathroom design, enhancing the space with ease. Of course the advantage you are looking for is not only the practical side of having a mirror in your bathroom when you are rushing to put your make up on before work, but a mirror that can help your bathroom have that light and spacious feel. The biggest obstacle many of us face with our bathrooms is a light area, many bathrooms don’t benefit from an abundance of natural light so we have to make the most of what we get. Even the smallest window shining light into a bathroom can become an important part of your bathroom design. All it takes is placing your bathroom mirror with shelves opposite your natural light source to enhance the space. You’re wondering how this works. Well the mirror will bounce the light away from it, this automatically brightens the room. A light room will automatically feel spacious. So all you need to make your bathroom that spacious and light room you have always wanted is to add a stunning mirror on the wall opposite your window. Bathroom mirrors with shelves can be an essential item in your bathroom. I don’t know if you struggle with the same problem I face in my family bathroom, but I turn away for a few minutes and I come back to a clutter filled bathroom which I then proceed to clean up. If everything had it’s own place then the clutter would be dramatically reduced. Being a family of all girls there is so much make up and hair products and all it needs is a few shelves to store all of these things to immediately reduce the clutter. Bathroom mirrors with shelves come in a variety of designs, you can choose a design with one shelf or many shelves, depending on how much you need to store close to the mirror for easy access.